Hey friends! Though the next few weeks will be mostly me (Steph) blogging, Chloe will be back before you know it, and I’m sure she’ll have lots to share! Anyhow, some of you may have seen my tweets asking you to “Like” my post on CityTri’s Facebook page, so that I could win a free race entry to the Bassman triathlon this coming weekend in New Jersey. CityTri hosted the Tuckahoe race I did in August, so I thought it would be fun to do another one of their races, and do it for free! What I didn’t realize was that because I had commented from my personal Facebook page (which I’ve tried to make as private as possible) only my Facebook friends could actually see that I had even commented. So, to those who tried to “Like” my comment THANK YOU and I’m really sorry that I didn’t realize my settings made it impossible for you to help me out. I appreciate your attempts! Well, when I finally realized the problem and requested support on Facebook instead of Twitter, I was able to get the 25 likes I needed and a free race entry! 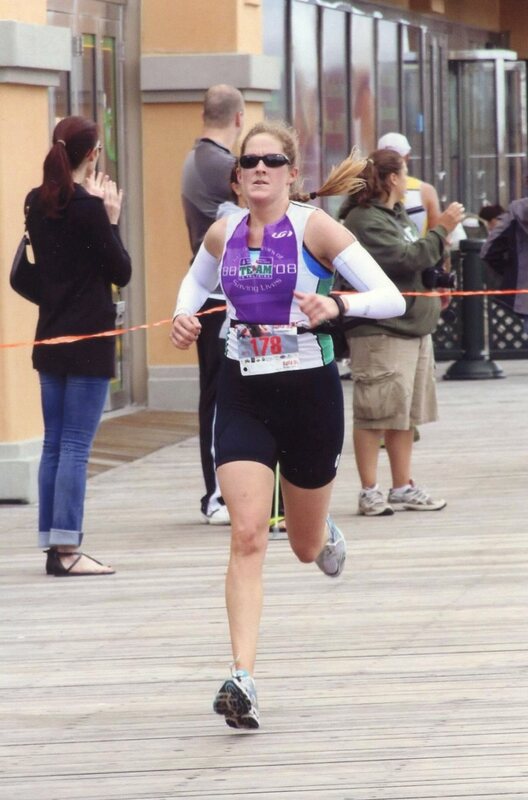 What I find a little funny about this, is that before the Atlantic City Tri, I was complaining to my boyfriend that I was burnt out on training, and that 5 triathlons in a season was too many for me. And now here I am, signed up for my 6th of the season. Whoops. 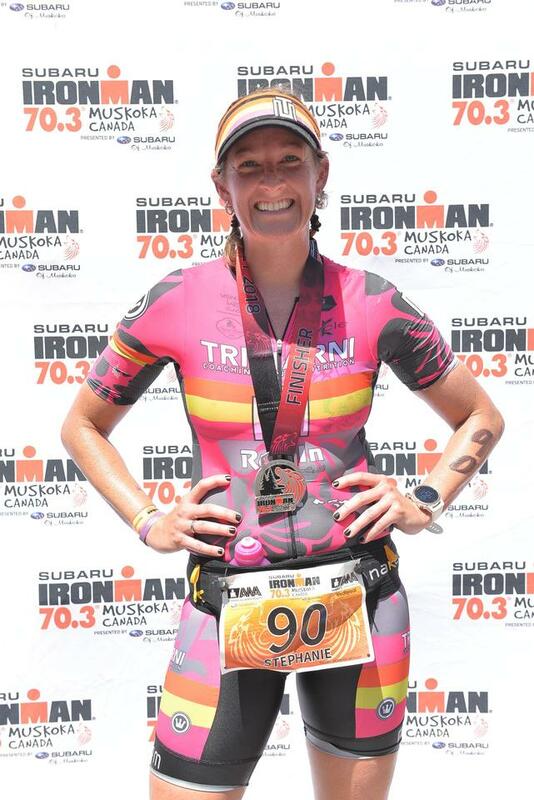 I think that I was still riding the high from my finish at the AC Tri, and was excited about the opportunity to race close to home again, which is why I even tried for the entry in the first place. I mean, sure I’ll do a race 40 minutes from my parents house on someone else’s dime! 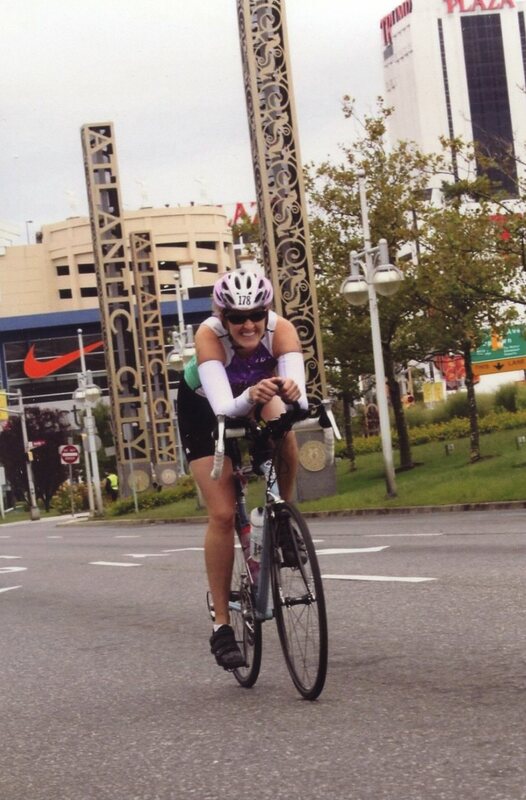 And so, this weekend, I’m driving back up to NJ to race in the International distance triathlon. It’s a little different than I’m used to: There’s a .5MS/29MB/4.2MR. Yes, I said a 4.2 mile run. Running is not my strength, so I’m pretty excited about the shortened distance. I feel like 4 miles is right about where I start to die, so hopefully the sight of the finish line will push me to finish strong. So, what have I been doing to train for this late season addition? To be honest, I’ve been doing what I want to do. My bike still has my race number on it from AC. I went spinning on Saturday and Tuesday, and I’ve gone to yoga twice this week. I started a lifting program the week after AC (which I plan on continuing in its entirety in the off season), but stopped this week so I’m not sore on Sunday. I’m actually really excited for my off season, but I guess I’ll have to delay it a little longer. After this race, I’m only doing Waterman’s on a relay. No more tris until 2012! Hold me to that! Oh, and another bonus for this weekend? My high school reunion is happening on Saturday night, and though I’m not going, I’m planning on having my own lil’ reunion with friends who I still stay in touch with on Sunday afternoon. Win! Question of the day: Have you ever won free entry into a race?